Premiering at Cannes and starring Nicole Kidman, How to Talk to Girls at Parties is both set in Croydon and was filmed there. It’s the Cannes screening of the day this Sunday (May 21st). Stars Elle Fanning and Alex Sharp were in Croydon in November 2015 to shoot some of the most remarkable scenes in the film, shown toward the end. Alex Sharp has tweeted a sneak peek trailer. We can’t give too much away without spoiling the movie, but the filming involved 80 cast – mainly playing aliens – and crew on Croydon’s College Green and the nearby multi-storey carpark. Other locations included St Georges Walk shopping parade and the town centre. To revisit the original short story by Neil Gaiman you’ll find it online here here. Set in the punk scene of the 70s, the film is about teenage boys who crash punk queen Boadicea’s party. Nicole Kidman stars in the role of punk godmother Boadicea. 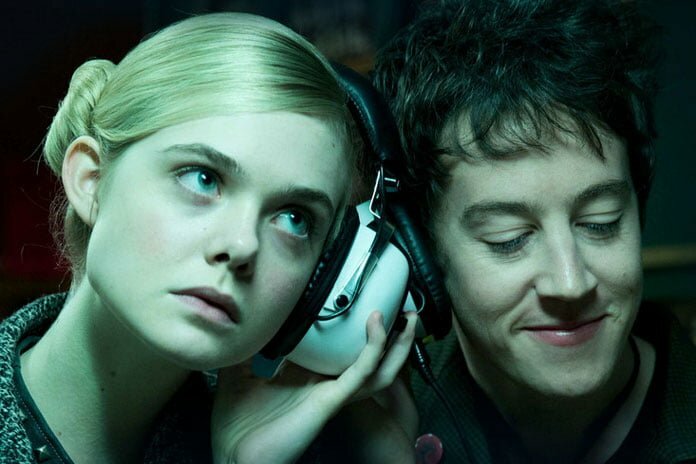 At the party, Enn (Alex Sharp) meets the gorgeous foreign exchange student Zan, played by Elle Fanning. But it turns out she’s from further away than he imagined; she’s an alien. FilmFixer manages the film office service for Croydon Council. FilmFixer director Andrew Pavord says, “The shoot was a very welcome homecoming for the story. “We were delighted to be able to support the production with some of its most challenging filming. “There were quite a lot of cast and crew to manage for these important scenes. The Croydon locations proved perfect and the area was more than able to handle the logistics.